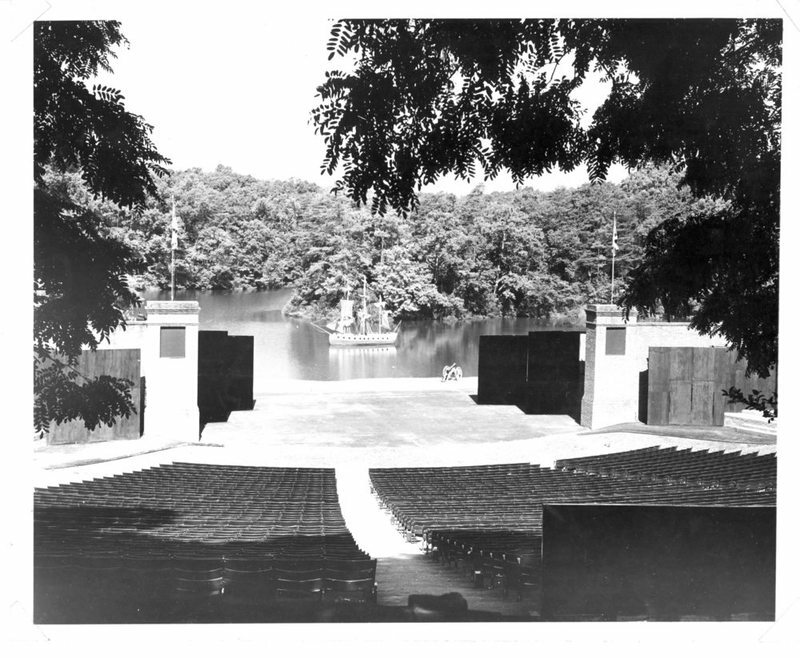 The Martha Wren Briggs Amphitheatre at Lake Matoaka at William & Mary sits on the edge of Lake Matoaka and is used primarily for concerts. In the past, the site has also been known as the Common Glory Stage, Matoaka Park, Matoaka Woods, Lake Matoaka Amphitheatre, or simply the Amphitheatre. 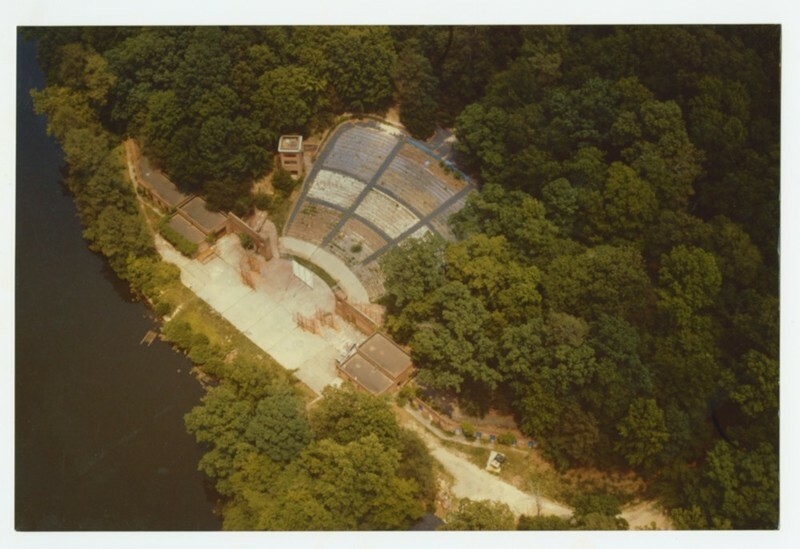 The amphitheatre was planned in 1946 on the site of an old boathouse and was intended to be used for a colonial pageant in the summer and William & Mary functions during the academic year. The Jamestown Corporation oversaw building the stage, dressing and prop rooms, and spotlight towers. Designed by architect Charles M. Major, the amphitheatre opened in the summer of 1947 with the production of The Common Glory which ran from July 17 to September 14 of that year. In 1977, the lease with the Jamestown Corporation ended and, in 1979, equipment was auctioned, and storage and dressing rooms began to be used by dance classes. In May of 2006, a $7.6 million renovation began in cooperation with the Jamestown 2007 commemoration. Improvements include a new stage and seating area, ADA access ramps, and underground utilities. New buildings provided space for equipment and a ticket office/restroom. The project was completed in April of 2007. 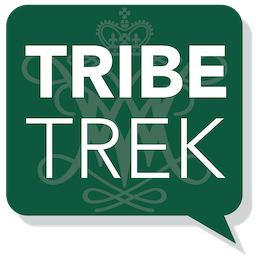 In April 2016, the Board of Visitors at William & Mary voted to rename the amphitheatre in honor of Martha Wren Briggs ('55) for her commitment to the facility's restoration. 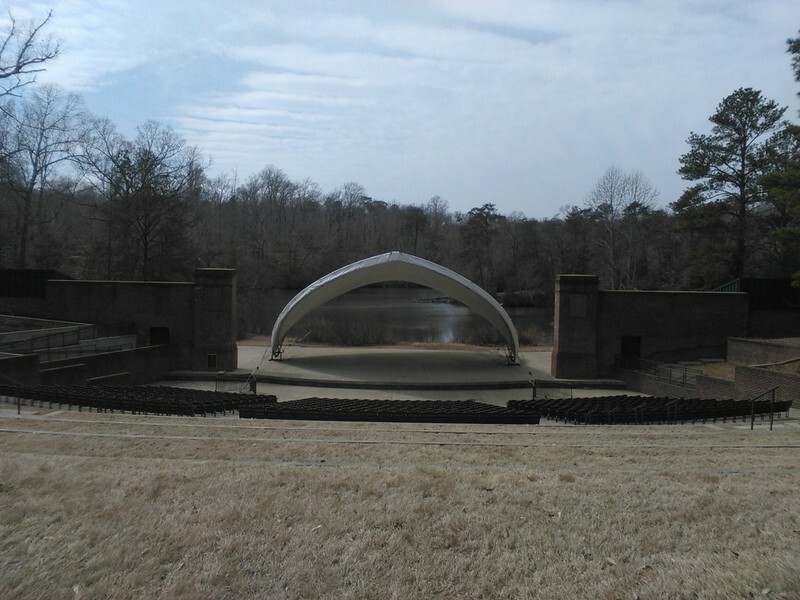 Martha Wren Briggs Amphitheatre at Lake Matoaka, 2015: An image taken in 2015 of the Amphitheatre in daylight. ~ Source: University Archives Photograph Collection, UA 8. ~ Creator: College of William and Mary. Amphitheatre Aerial, undated: An undated aerial shot of the Amphitheatre. ~ Source: University Archives Photograph Collection, UA 8. ~ Creator: College of William and Mary. 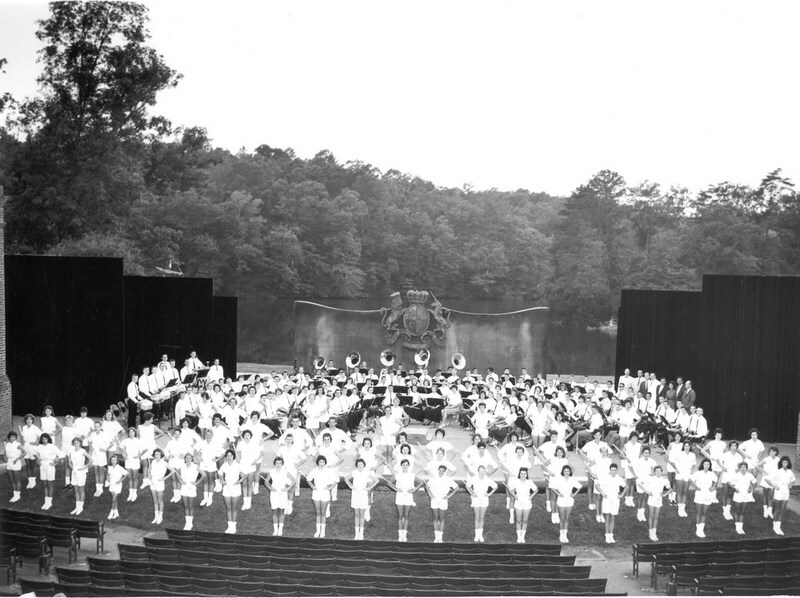 Common Glory band concert, circa 1960: A Common Glory band concert around 1960 at the Martha Wren Briggs Amphitheatre at Lake Matoaka with the lake in background. ~ Source: University Archives Photograph Collection, UA 8. ~ Creator: College of William and Mary. Common Glory stage, undated: Common Glory stage at the Amphitheater, undated. ~ Source: University Archives Photograph Collection, UA 8. ~ Creator: College of William and Mary. 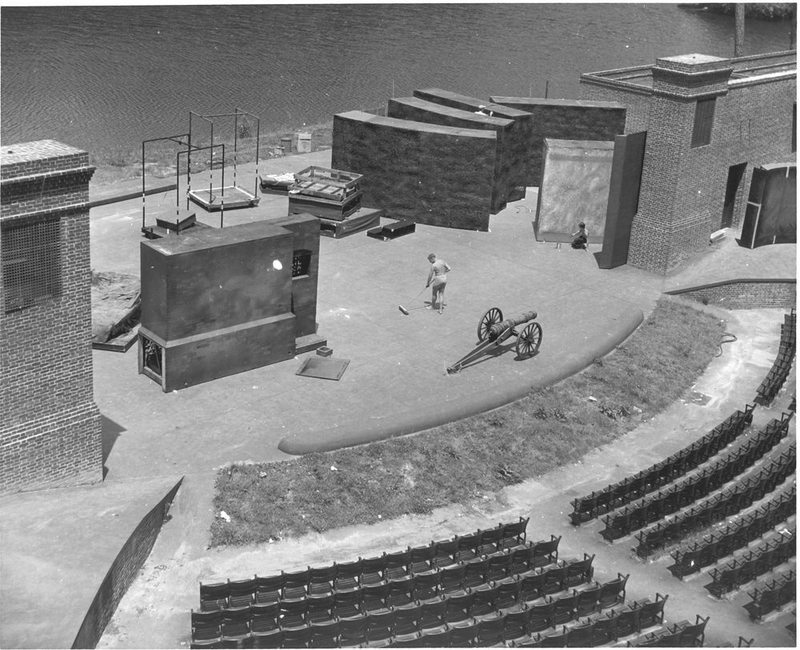 Martha Wren Briggs Amphitheatre at Lake Matoaka, undated: The Amphitheatre with ship and cannon used for Common Glory play. ~ Source: University Archives Photograph Collection, UA 8. ~ Creator: College of William and Mary. Martha Wren Briggs Amphitheatre at Lake Matoaka, 1979: The original Lake Matoaka Amphitheatre overgrown with weeds in 1979. ~ Source: University Archives Photograph Collection, UA 8. ~ Creator: College of William and Mary. 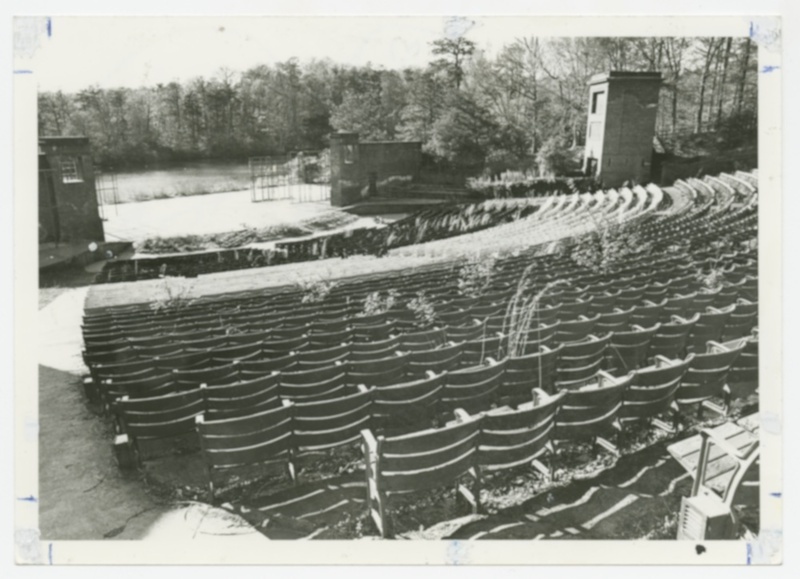 Special Collections Research Center, Swem Library, College of William and Mary., “Martha Wren Briggs Amphitheatre at Lake Matoaka, Constructed 1946-1947,” TribeTrek, accessed April 19, 2019, https://tribetrek.wm.edu/items/show/42.